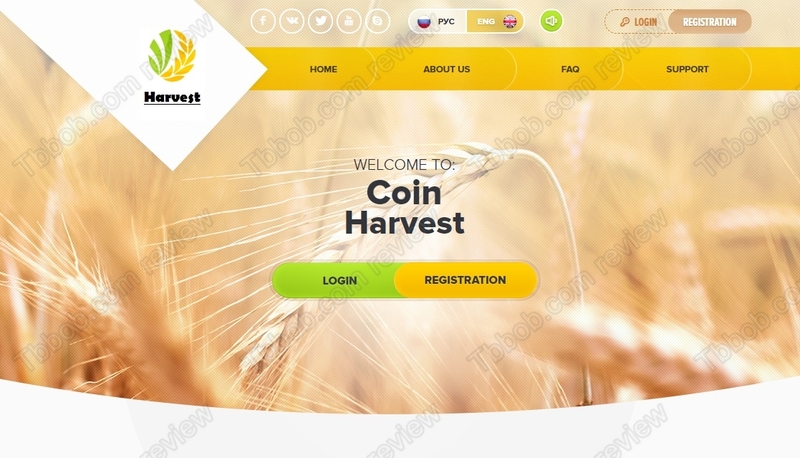 Coin Harvest pretends to be a crypto mining and investment company that can make you money. Returns can allegedly go as high as 20% per day, which means 600% per month. Can you really multiply your money six times in one month with this program? No, you cannot multiply your money six times in a month with Coin Harvest, nor with any other program for that matter. 600% is just a ludicrous number that cannot be achieved by any legitimate business. That’s economic reality. That also leaves us with only one option, namely that Coin Harvest is a scam. It will harvest cryptocurrencies from people and might use this money to pay out some profits. Such an illegal system is called a Ponzi scheme. These systems always fail in the end. With numbers that are offered by Coin Harvest, you can be sure that this program won’t last for long. When it collapses, all the money will be gone. And it can happen any time, so beware! Coin Harvest is a simple scam that will collect money from people and not pay the profits it promises. Stay away from it! If you want to experience real crypto trading, do it on a free demo so that you don’t risk anything. This way you will have the opportunity to learn trading and understand the risks before switching to real money trading.